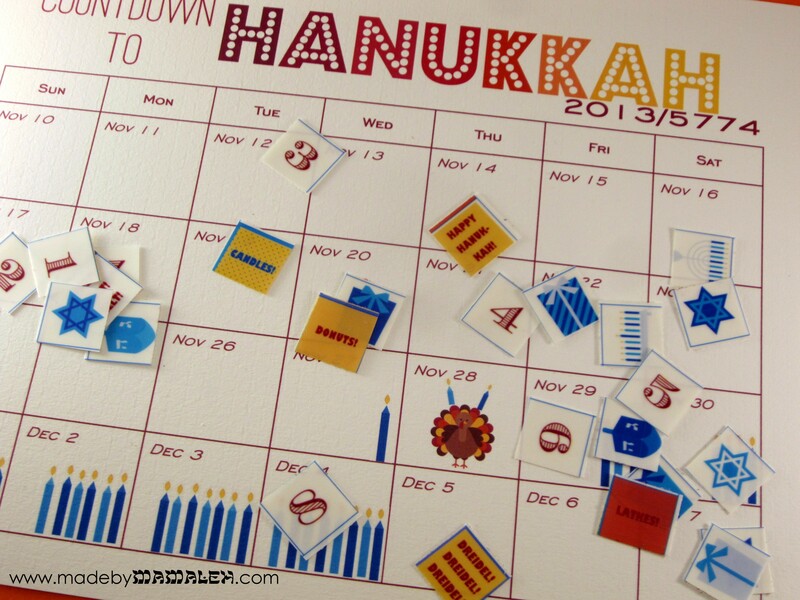 Once again using Microsoft Publisher and some fun graphics from Maree Truelove on etsy, here is this year’s Countdown to Hanukkah Calendar for your printing pleasure! For 2013, I opted to print mine on some slightly textured off-white cardstock and decided to print the stickers on clear inkjet labels so the candles will show through the numbers. But, as I mentioned last year, you could also print on paper and just use tape, a glue stick or even print on magnet paper. Hope you have as much fun counting down the days as we do!